Hey, it dawned on me today (again) that if 'one' calculator can run famously in 'one' micro-controller, perhaps another calculator might run brilliantly in 'another' micro-controller. I have officially pulled out my Arduino (I'm experimenting on the Uno, but my eye is on the Mega) units (and my Raspberry PI) and have begun working on a prototype RPN (four line, open hardware, open software) that will move forward into the future (whether HP moves forward or not). The repurposing idea was great; now we need another idea (that takes the whole thing to another level) and more people need to be involved this time around. i would like to see sixteen prototypes all going at the same time--- get it figured out right, and soon. Another funny thing happened on the way to the moon... I got to looking over my dead ten-key machines "Royal C130" for instance... or my IML (cheap but large display) and noticed something. They both have a case that would support the Arduino Mega, they both have a nice and large seven segment display (12 digits), and they both support a 5x6 lattice for the keyboard (30 keys, function keys, and at least ONE large key for [STACK]). Rather than repurpose the guts, I'm going to repurpose the shell, and put my guts inside, along with my brain storm, and a VERY nice micro-controller. But that's just a stop-gap... well, like the 34s... what we really need is a real keyboard, over a real shell; with our own stuff inside. First binary, then a four banger... then the sky is the limit. Every body start your engines... and grab a micro-controller development station. (02-25-2015 05:39 AM)MarkHaysHarris777 Wrote: ... what we really need is a real keyboard, over a real shell; with our own stuff inside. E.g., a dead Woodstock. This (Woodstock+AVR PCB) has been the only interesting combination I could think of so far. However, there's little chance to get an Arduino and a serial RAM for the display/keyboard into the box I estimate. If so, we could use a more sophisticated µC like an xcore (have one of those, too) on our own PCB as well. If I only had time to get a little more into these things :-(. 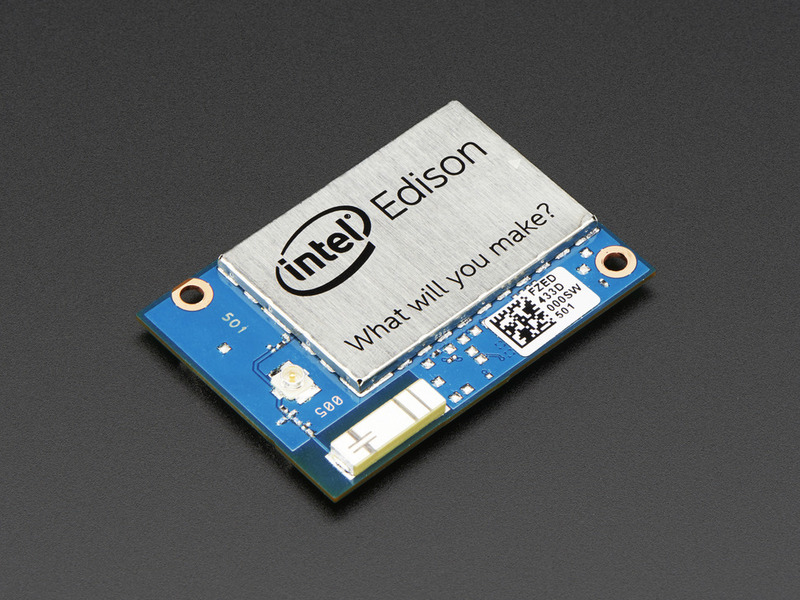 How about an Intel Edison? Would fit easily into a Woodstock. (02-25-2015 06:56 AM)Paul Dale Wrote: How about an Intel Edison? The xcore is probably easier to use, but I admit I just started to explore it. Thus far, it seems perfectly suited for the job. Mark: There is one disadvantage to making a calculator out of micro's as powerful as the Raspberry Pi and Arduino... Power consumption. It requires half an amp at 5Volts to run the Raspberry Pi, and The Arduino is better but won't run long on batteries either. There are powerful LOW POWER development boards out there. I have some links if you are interested. I have done a lot of experimenting with the Raspberry PI it's a lot of fun, because there are so many fellow developers out there to help you get unstuck if you have a problem. I got an email today saying that they just released the new Raspberry Pi 2 with a gig of RAM and a quad core CPU that runs 6 times faster than the original Raspberry Pi all for the same $35.00 price tag. Amazing! The Raspberry Pi 2 has the 4 USB ports, and the same footprint and pinouts as the Raspberry Pi B+ released a few months ago. I find the Pi quite limited as there's no onboard flash memory. You'd have to provide a (µ)SD-card, which might be a problem mechanically (the Pi2 has a much better card-slot, however). Time for boot-strapping, general latency and the need for a shutdown before switching it off might be another problems with Linux, so it has to be programmed on bare metal or something like RISC OS. It is a great desktop system with all the support it gets from the foundation and its users, but that's about it imo. (02-25-2015 10:50 AM)Thomas Radtke Wrote: I find the Pi quite limited as there's no onboard flash memory. You'd have to provide a (µ)SD-card, which might be a problem mechanically (the Pi2 has a much better card-slot, however). Time for boot-strapping, general latency and the need for a shutdown before switching it off might be another problems with Linux, so it has to be programmed on bare metal or something like RISC OS. It is a great desktop system with all the support it gets from the foundation and its users, but that's about it imo. I have created highly reliably Kiosk systems with the Raspberry Pi, using techniques to make most of the file system READ ONLY. This prevents any shutdown problems. The Raspberry Pi does what it does very well, but as you said it is no substitute for dedicated bare-metal hardware solutions. I think most would agree that on a price/performance scale the Raspberry Pi ranks among the top contenders. hi everyone, the trick is to collaborate with the Arduino team in Italy; what is needed is a low power open hardware development platform (Arduino Uno-Lp) for coin cell operated applications. Letter going out tomorrow. On another note: my idea for the calculator is based in networking, and multi-core processing. Well, in an Arduino world that means building a 'Trinity' comprised of the Uno, a Mega2560, and a Due. You can compare their specifications to see where I'm going with this. Ideally, the three should be mounted on the same board with one set of IO pins like the Due or the Mega2560. My prototype will be laying out on the work-bench of course. Here is the idea: three Arduinos working in parallel; all three are networked (serial, parallel) and all work together for one common purpose (calculation and interface with the read world, calculator lab) but each of the units has its own personality and primary job function... one provides keyboard scanning, process control and interprocess communication, the second provides for real-world IO and data management (including register database), and the third provides display I/O (which for my prototype will consist of two(2) 16x2 backlit LCD (blue). All three machines, of course, can calculate. The real power comes from parallel processing and process specialization. Registers for all purposes (matrix, complex, even reals) will reside in a database (write|read) managed by one Arduino controller communicated (serial|parallel) to the others on demand. Each unit will have its own local storage or course, but memory management for the machine will be the responsibility of one unit. Others have made rudimentary calculators from Arduino; but they have the problem that they try to do the job with just one unit... and we need more I/O lines for that. The Mega2560 could handle it, and the Due even better (faster Arm processor, 64 Mhz) but if three units are working together the ONLY downside is Barry's point--- power consumption. Well, that's where the Arduino team in Italy get involved; they're gonna produce a three processor prototyping platform for coin cell operation (obviously all CMOS, and obviously very tiny), I hope... guess I shouldn't be too presumptuous. Well that's all for now. I'm getting pumped about this... and me and my Arduino Uno (working with two of them now) are having a new love affair. E.g., a dead Woodstock. This (Woodstock+AVR PCB) has been the only interesting combination I could think of so far. I looked at the Woodstock series see page 10, and i think it would be a fabulous little case (could be retro-fit with the 16x2 LCD easily). If anyone has a dead woodstock they could send to me, i'd be willing to pay ya a couple of bucks for it... I'm gonna start looking around on-line. The Royal died but the display is still good (as well, the keyboard matrix lattice). I will cut the lan patterns and leave the main pcb in the unit (to solder the display headers). The center ridge in the base will have to be removed of course, but any of the Arduino boards I'm considering will fit in the base of this case; the IntelEdison would fit nicely too (still looking at that). The buttons will need to be resurfaced, of course, and I am still trying to decide about the display... the one that's there is fine (but, there is room there to mount (2) 16x2 LCD units for a four line display; and hey, for the prototype why not? Pauli! --oh, excellent; definitely worth looking into. I am not familiar with it (but I'm gonna explore it). Thanks for the tip. My 25C has seen some battery leakage destroying the keyboard. Still have it ... you never know. One excellent candidate for a gut replacement project is the 48G (granted, it's expensive). Its keyboard is top quality, it comes in a board that is separated from the main board (so you can remove it) and the connectors are exposed, so you can hook up a great keyboard to your new guts very easily (here's the link with pictures, you can thank Han for it): http://users.ju.edu/hduong/repair/. The case is huge and there's plenty of space inside (19 mm thick), because the G model doesn't have the 2 slots for the memory cards, so it's a big hollow space (Li-Ion battery?). The display board can be removed independently too, and the display opening is 64 mm x 36 mm, enough for many display sizes. Do it yourself projects tend to be bulky, so maybe the extra space will be needed and the higher price is justified (especially if you are planning to put 3 Arduino boards in there!). One excellent candidate for a gut replacement project is the 48G (granted, it's expensive). (here's the link with pictures, you can thank Han for it): http://users.ju.edu/hduong/repair/. This reminds me of my 'dead' Sharp el-9200c... about the same size and shape, plenty of space, but a very complex display (driver) that probably isn't useable; would hold the 16x2 LCD though. Also, has a large [ENTER] key bottom right. I was really sad when my 9200c died (i suspect it might have a bad cap, but so far my efforts to resurrect it have all failed). Exactly. Thus, its an housing to create battleships. Personally, I don't like battleships - I prefer pocket calcs. Maybe a Teensy 3.1 could do the job ? It's tiny, quite cheap, low power and have horse power. Someday Walter, you must document the full Naval taxonomy of HP Calculators. For example, what is the 34S? Destroyer? E-Boat? (02-26-2015 07:27 PM)jch Wrote: Maybe a Teensy 3.1 could do the job ? It's tiny, quite cheap, low power and have horse power. Whoa... definitely worth looking into... I was not aware of the 'Teensy' category either. That little fellow would fit anywhere; question is whether it has enough pins (although, the idea of using more than one for parallel processing and process management is more feasible with low power using two or three of these!). Thanks for the tip. Have you programmed the 'Teensy' ?